I remember many years ago, before the dawn of the internet age, when our family acquired a set of encyclopedias. Twenty two volumes of knowledge and wisdom spanning all kinds of subjects. When it came time to do a paper for school, settle an argument or just curiosity, out came the encyclopedias. Today, the encyclopedia has been replaced by the internet. And nearly 70% of internet users turn to Google to access the wealth of information freely available. Simply type in your question and get your answer. While it seems simple enough for the user, Google’s search engine is anything but simple. It takes an incredible amount of computing power and a very sophisticated search algorithm to return the listings we take for granted. And the reason Google is the number one search engine is because they do it so well. While the details of how their search engine works are a closely guarded secret, it is said that they use over 200 different criteria to come up with their rankings. Anyone with an internet connection now has access to more information than anyone could have imagined back when I was in awe of my new set of encyclopedias. Everything from researching a purchase decision, news, recipes, music, science, opinions, how to videos – there’s no end to it. And all this for the price of an internet connection. Knowledge is power and we all have access to a lot of knowledge. Google does a great job of helping find whatever information we might need, so you gotta love it. Google has also leveled the playing field for businesses. Well, sort of. Anyone can get a website to promote their product or service. On the internet, small businesses can now compete with giant companies for the eyes and ears of their target audience. If you sell golf clubs and someone does a search for golf clubs, that user could very well visit your website, see what you have to offer and make a purchase. Well, maybe. 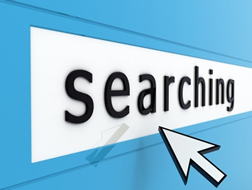 If your site is listed on page one of the search results, you have a chance. And the higher you’re listed on page one, the better. On page two, three or beyond? Not likely. This is where things get a little scary from a business point of view. More and more consumers use Google to find what they are looking for. Yellow pages are all but dead and most forms of print advertising just don’t get the same results as the internet. But page one of the search listings has ten listings – ten only. If you’re not in that top ten, you have a problem. When Google changed their ranking algorithm in 2013, many websites that were ranking on page one dropped down the rankings into obscurity. Many businesses failed because the traffic to their site disappeared, literally overnight. Many of these businesses were using shady practices to promote their site on Google, and some might argue they got what they deserved. But it does demonstrate the enormous power Google has on the business landscape. Most businesses are or will be at the mercy of the Google rankings. Sure you can spend money on SEO, do social media, write a blog and all the things that make Google happy, but in the end, there are still only ten listings on page one. And everyone else is doing their best to get on page one as well. So if your site does not show up on page one for your keywords, you may be out of luck. You can pay for sponsored ads, but that is expensive and not as effective as an organic (free) listing on page one. So there you have it. Google is the gatekeeper to the greatest pool of knowledge mankind has ever known. Really. And while they do a great job of providing accurate, relevant information for whatever we need, they also have unprecedented control over what information we get. Google’s motto is “Don’t Be Evil”. Let’s hope they stick with that.